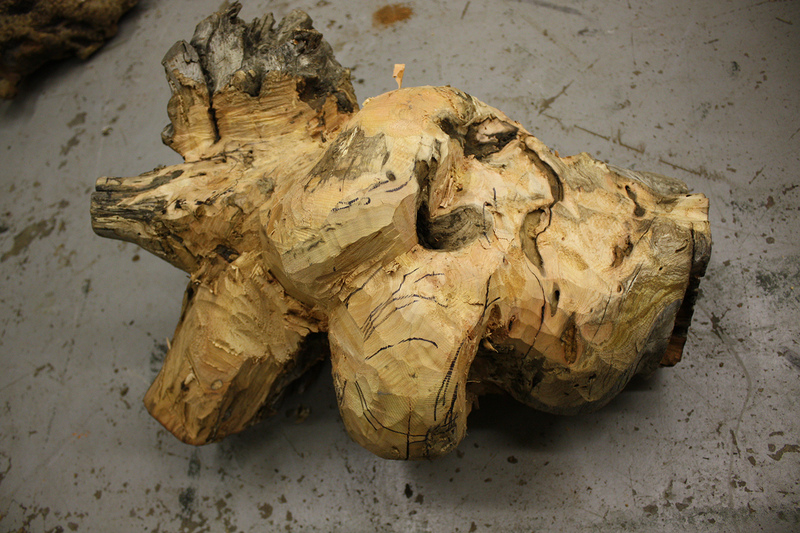 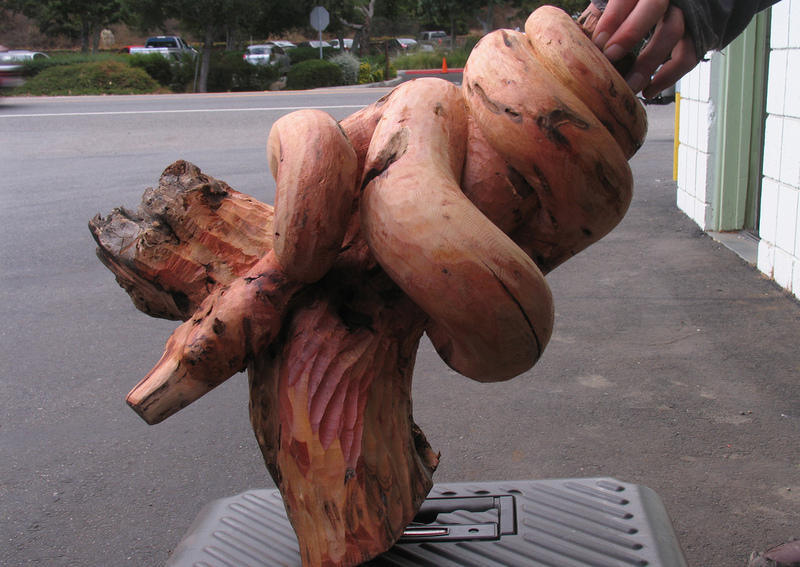 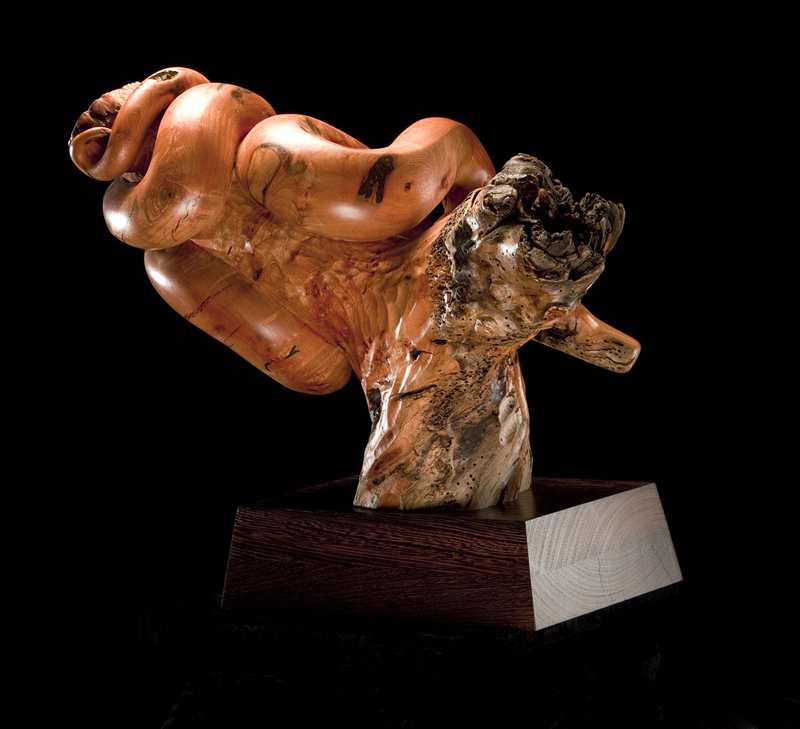 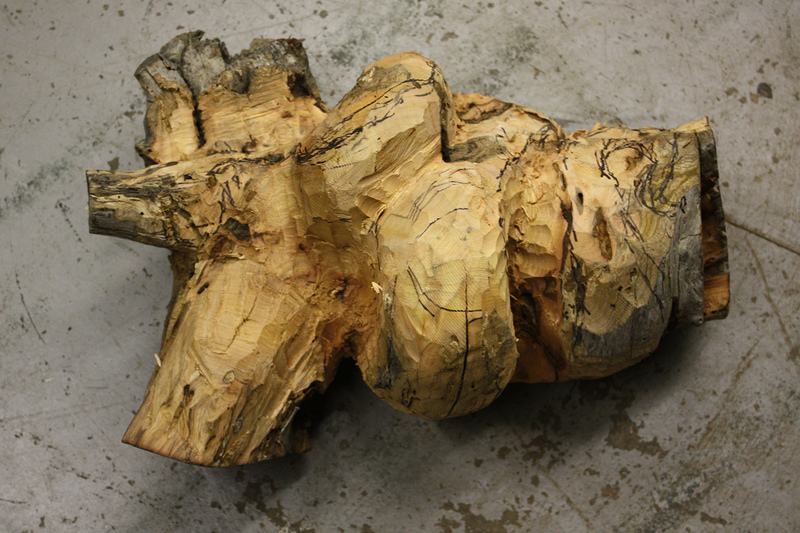 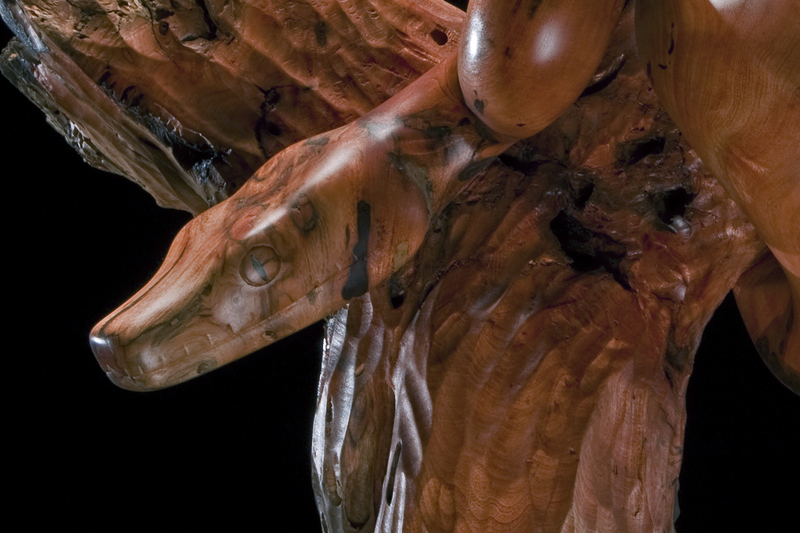 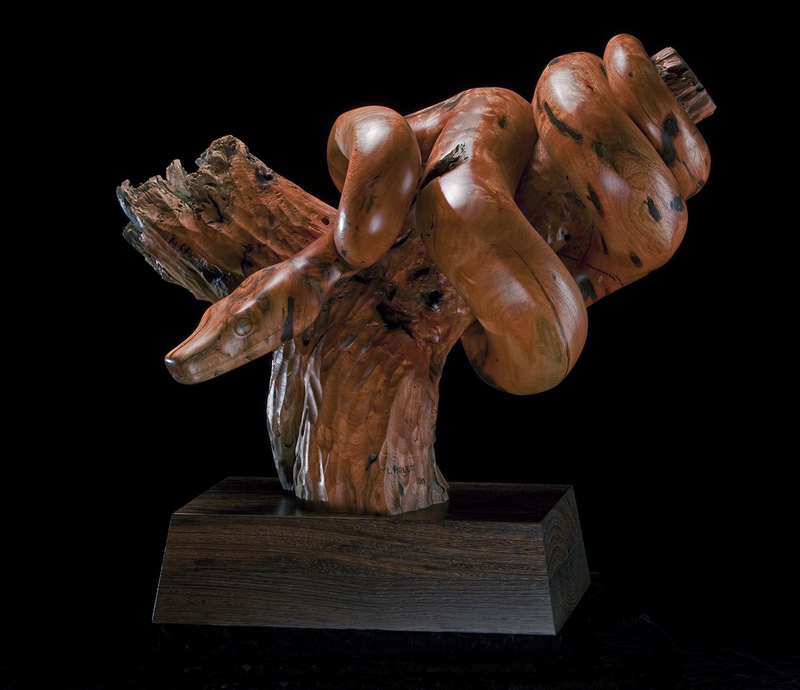 This sculpture is carved out of a single piece of lemonade berry wood and features a boa wrapped around a branch. 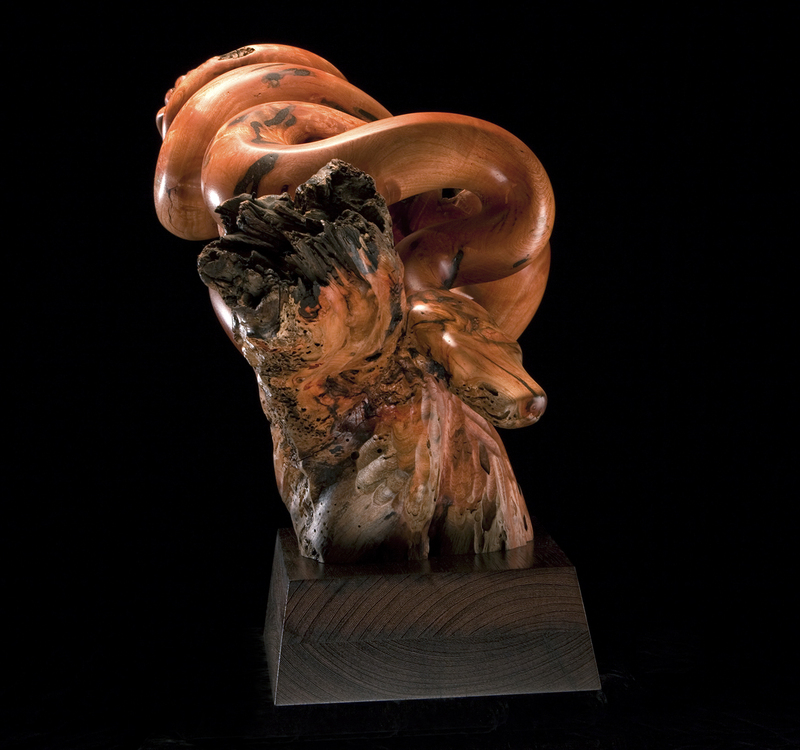 The piece of wood that inspired this boa had some unique features that were reminiscent of the snake’s coils. 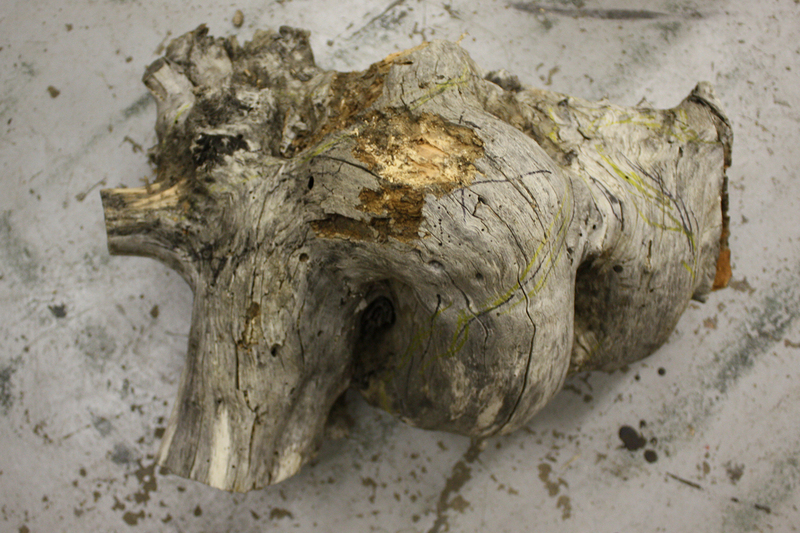 Beneath the weathered surface layer the wood was a beautiful reddish orange color. 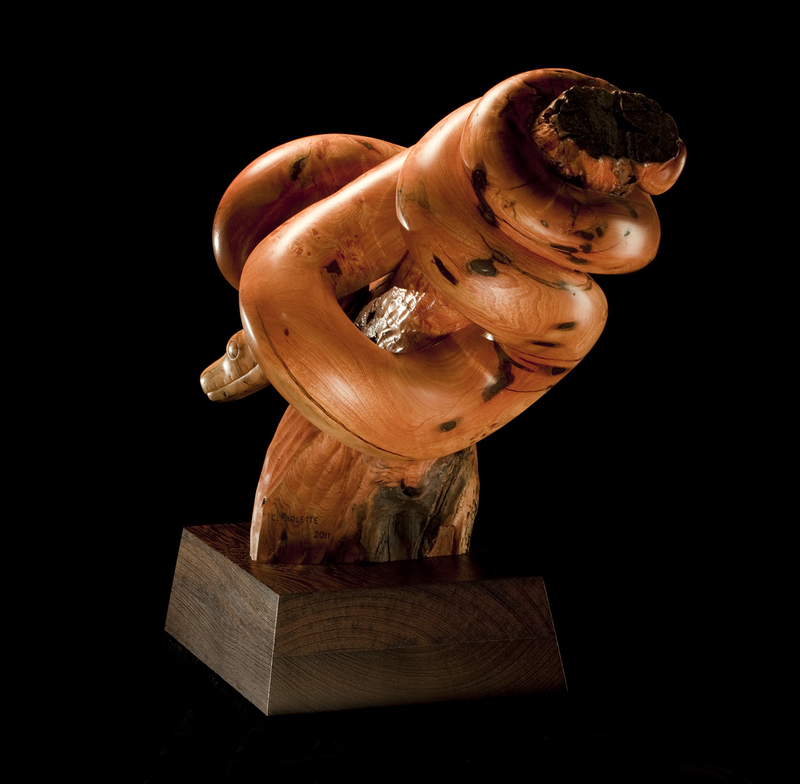 This piece captures the elegant curves as well as the tension that a snake demonstrates prior to striking.